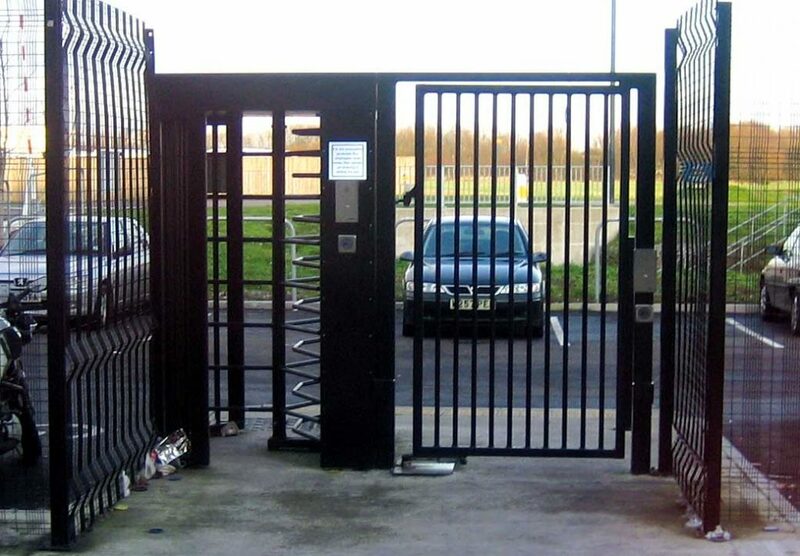 The full height pedestrian turnstiles are designed and manufactured in the UK, pedestrian turnstile barriers provide additional security and enhance any unguarded pedestrian entrance to a site. A variety of finishes are available including galvanized, painted or finished in stainless steel. The full height security turnstiles are available in a range of designs and operating modes they can be interfaced with all forms of access control. Pedestrian Turnstiles come in various options and are manufactured as standard from steel sections and sheets which are fully galvanised. 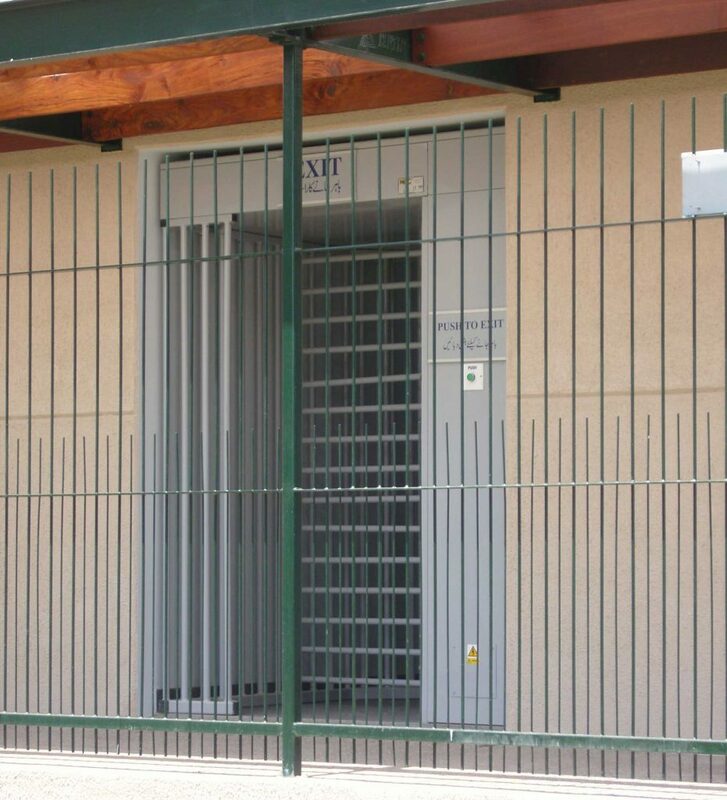 Full Height Turnstiles are constructed from steel framed panels with a combination of sheet and bar infill. The Turnstiles sections are modular in design which makes them simple to install. The Turnstile rotors are constructed of 316 stainless steel. Turnstiles come with a push-button control as standard but can be customised to interface with a wide range of access control equipment to suit specific customer requirements. Available configurations include (but are not limited to) card readers, communication equipment. Options include a stainless steel finish or painted to suit site requirements. As an option we have an HCIS turnstile that is compliant with the Kingdom of Saudi Arabia HCIS security directive specification. Power fail operation: The turnstile controller can be configured to free wheel in one or both directions on power fail or fire alarm signal.